There’s more in your mattress than meets the eye. Perhaps you only thought a mattress cleaning service was necessary in case of spills or accidents, but mattresses can absort just about anything. Our professionals handle it all – from everyday contaminants like dust mites, bacteria, dead skin cells, fungus, and pollen, to accidental spills and bedwetting. We actually recommend having your mattress professionally cleaned once every 12 to 18 months. Doing so will improve the health of your sleeping quarters as well as combat allergens that can greatly affect your sleep – thereby improving your health as well. It will also help to extend the life of your mattress. Many mattress owners fail to properly maintain their beds, not knowing how important it is to do so. Mattresses can be a pretty big investment. The average person spends anywhere from $500 to $1500 on one. Don’t you want to make sure yours is protected and in great shape for as long as possible? Absolutely! That’s why we recommend having it professionally cleaned on a regular basis and not just when there’s a spill or an accident. Once you purchase and use a mattress, you won’t be able to legally sell it your neighbors in NC, and it’s highly unlikely that anyone will want to buy a used one, especially one that hasn’t been well-maintained. We use a 3-step process to ensure the most effective mattress cleaning possible. Our industrial grade equipment gets to the most stubborn spots that can be easily missed by your vacuum. We also deodorize your mattress and apply a protectant to keep it from re-soiling. With our professional mattress cleaning Southaven MS services, you can rest assured (pun intended!) that your bed will be cleaner, fresher, and last longer than average. Whether you live in Collierville, or another surrounding suburb, our mattress cleaning experts are ready to serve you. We proudly assist residents around the queen city with their professional carpet cleaning, floor care, and upholstery cleaning needs. Your mattress is a piece of furniture—one that you utilize quite often (every night in fact! ), and we think it’s pretty important to clean regularly in order to maintain your health and increase its lifespan. You deserve a good night’s sleep, and cleaning your mattress can help ensure you get one. 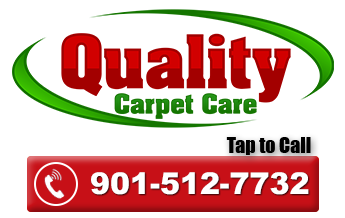 Give our mattress cleaners in Collierville a call today to request a quote and schedule your professional mattress cleaning today!